Matthew is an emerging writer for theatre, TV and radio born and raised in Wales, and based in Yorkshire. He has been developed by Sherman Theatre, Leeds Playhouse and The Writing Squad, and is currently supported by BBC Writersroom on their Northern Voices programme. His writing often manipulates histories and fuses media to create work which is fiercely theatrical. He has recently had a short piece broadcast as part of BBC Radio 3's The Verb and was a supported writer on The North Wall's Catalyst residency. 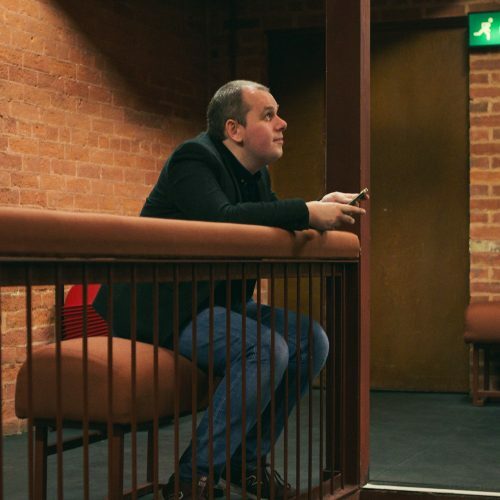 He is currently developing a range of projects across theatre, television and radio, and in the past he has worked on projects for and with Northern Broadsides, Rollem Productions, Dirty Protest, Sherman Theatre and the Royal Welsh College of Music and Drama. In 2018, Matthew was shortlisted the BBC Writersroom Drama Room Scheme and he has been longlisted for the Alfred Bradley Bursary Award (2019), Pint-Sized Plays’ Octoberfest programme (2018), HighTide's First Commissions scheme (2017) and the Papatango Prize (2016). He has a degree in English from the University of York.